Doors and large windows are often the culprit of energy loss, heating up your home during the intense Texas summers. 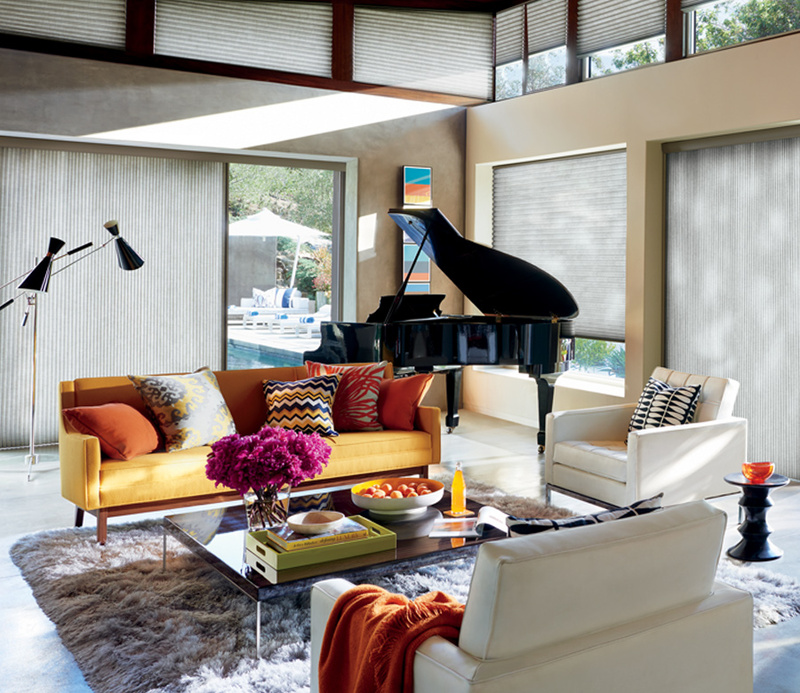 Because Duette honeycomb shades have created energy savings at the window, it makes sense that these shades would be ideal for large areas in need of solutions. 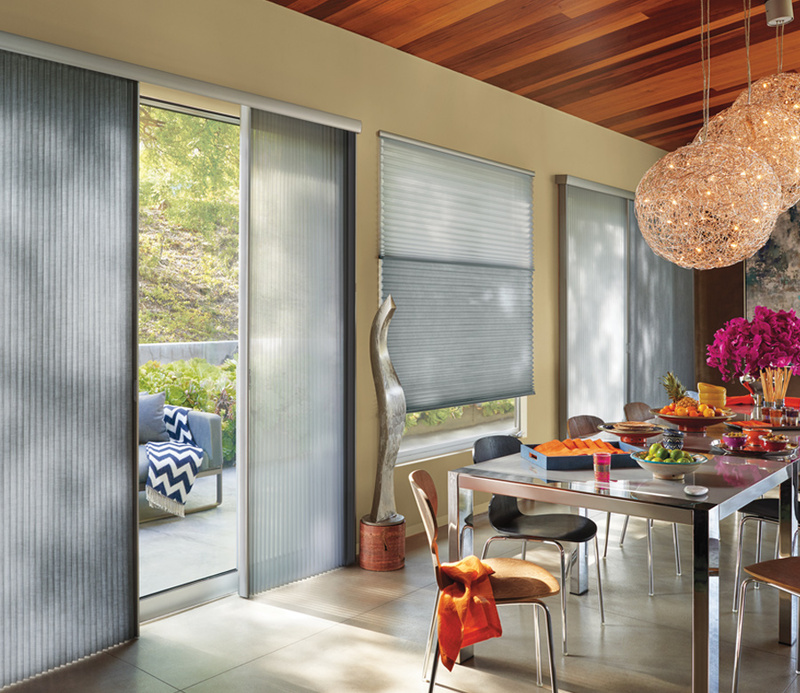 Duette Vertiglide are the vertical honeycomb shades you’ve been looking for! 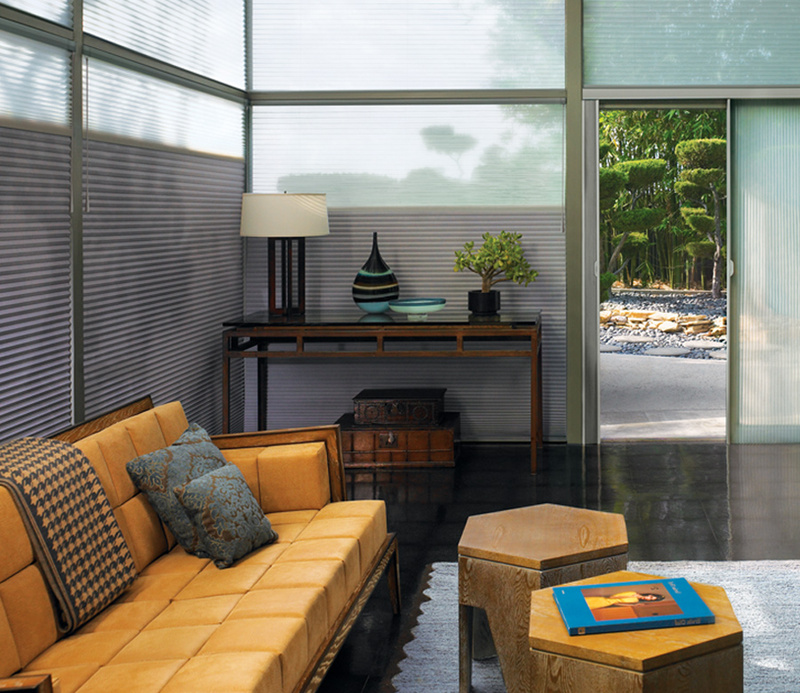 They offer transverse operation of shades for your doors and large windows, with different stacking options to fit your home.